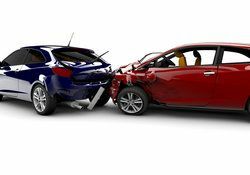 Rear end auto accidents refer to any cases in which the front end of a vehicle strikes the back portion of a vehicle ahead of it. These kinds of accidents can involve two moving vehicles or one vehicle in motion while another is stationary or practically stopped. Lynn C. Harris has helped numerous injury victims in and around Salt Lake City in lawsuits involving car accidents that caused injury, property damage, and the loss of a loved one. We'd like to take a moment right now to consider the causes of rear end accidents and what we can do to help accident victims and their loved ones. Speeding - When a driver is traveling at a faster rate of speed than other motorists, the likelihood of a rear end collision increases a great deal. Inattentive Driving - It's important to keep your eyes in front and to check your rearview mirrors to note other vehicles around you. General lack of awareness on the road has led to a number of rear end collisions in addition to other kinds of serious accidents. Distracted Driving - If you're fumbling with the radio or your phone, or if you're reaching for something while behind the wheel, you run the risk of seriously injuring motorists ahead of you as a result of distraction. Texting While Driving - Related to the two points above, a number of rear end collisions are the result of motorists texting while they are behind the wheel. This kind of dangerous practice needs to stop. Never text while driving. Driver Fatigue - If you are tired or sleepy while behind the wheel, you are less attentive and more likely to get into serious accidents such as rear end collisions. Drunk Driving - Driving under the influence of alcohol is never a good idea. It increases the chances of a rear end accident and it also places you and many others on the road at risk. Never drink and drive, no matter what. Brake Malfunctions/Defects - Sometimes a motorist is driving safe but his or her brakes malfunction. Be sure to get your brakes checked regularly. In the case of brake failure, we can look into potential product liability lawsuits against the negligent part maker or auto company. The best thing that you can do while behind the wheel is to drive safely and to abide by all traffic laws. Make sure that you are sober, well-rested, and that you keep any distractions (e.g., cell phones, electronic devices) away at all times. Regular vehicle maintenance, as noted above, is also important for ensuring no accidental collisions as a result of mechanical errors or failure. If negligence of any kind played a part in your auto accident, we will be sure to hold the responsible party accountable for this incident. This means seeking compensation for lost wages, injuries, damaged property, and other losses. We will be here for you in your time of legal need. For more information about your legal options following a serious auto accident, be sure to contact a skilled personal injury lawyer today. Lynn C. Harris will work closely with you to ensure that you understand all of your legal options in full detail.